Understanding the major stock exchanges and how they work is important for a stock broker or investor to make successful trades because most stocks are bought or sold on exchanges. 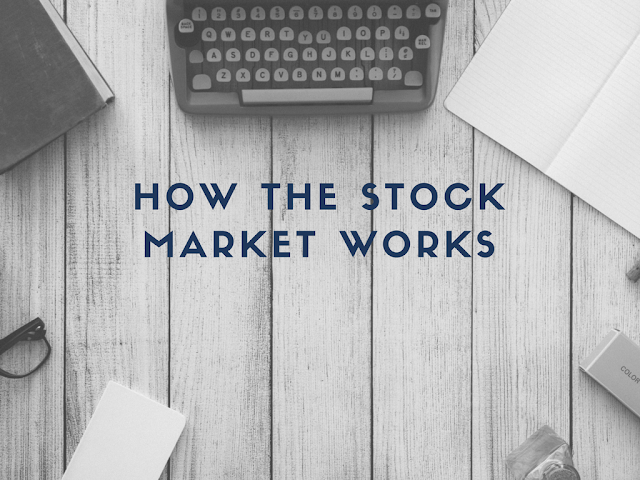 Very different from the Forex market, the stock exchange is a place where stock brokers and traders can buy and sell shares, securities, and bonds. There are two types of stock exchanges; physical and virtual. In a physical stock market, there are people frantically shouting and waving, trying to signal one another. On the other hand, a virtual exchange is all about computers, the Internet, and electronically executed trades. The markets act the crucial role of facilitating issue and redemption of bonds and the payment of dividend and income. Some of the securities bought and sold on the stock market are bonds, unit trusts, pooled investment assets, and derivatives, all of which are listed by companies of all sizes. It also raises capital for business, directs savings for investments and measures the economy. Simplified, a stock exchange is like a 'never-ending auction' market with traders discharging transactions at a central point of record keeping. Over the years, online stockbroking has grown popular, thanks to online brokerage firms like CMC Markets. Carrying out trades online has its own share of outstanding advantages such as increased speed and reduced transaction cost. A company's securities can only qualify to be bought and sold on an exchange after it has made the initial public offering (IPO) also called 'primary market' and shares get into the hands of public shareholders (secondary market). During an IPO, a company sells its shares to the primary market (initial set of public shareholders). In terms of both exchange trade value and exchange market capitalization, NYSE Euronext is the largest exchange. After the prestigious exchange secured Archipelago in 2006 and Euronext in 2007, it went public. It is auction-based, meaning there are physical specialists present, who specialize in particular type of stocks. To be listed on the exchange, companies must meet initial requirements and follow rules and regulations governing the market. The Nasdaq, also known as 'screen-based exchange' is an electronic exchange with buyers and sellers connected by computers and smartphones over a telecommunications network. Market makers are required to post their 'ask' and 'bid' prices then stay ready to buy and sell the stocks. Nasdaq and NYSE have similar governance and listing demands like both require a $4 minimum price. Tokyo stock exchange is considered to be the third-largest stock market and the biggest non-public-traded exchange. The market is a joint stock corporation whose shares are closely held by member corporations like banks and brokerage firms. The fourth largest stock exchange market is a public traded company and its parent is the London Stock Exchange Group. Like Hong Kong Futures Exchange and Hong Kong Securities Clearing Company, it is a dependency of Hong Kong Exchanges and Clearing Limited; a publicly traded company. The exchange, which exists as a non-profit organization, is the world's largest stock market to be under the ownership and jurisdictions of the government. It is run by the China Securities Regulatory Commission. The market has a reputation for strictness when it comes to listing requirements. Over-the-counter (OTC) markets. OTC lists small corporations. Investors shy off from OTC stocks because it is known that most companies in the OTC have been delisted from Nasdaq. Electronic communication networks (ECN). These trading systems link buyers and sellers directly. For stocks to be traded, they must be listed on an exchange market. Yahoo Finance [ Android | iPhone ] - most popular option on the Internet to track stocks. JStock - Android stock tracking app. Stock Market HD - iPhone and iPad app for stock tracking. We have compiled a list of best tutorials about stock marketing and investing in this YouTube Playlist.